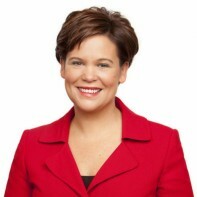 Mary Lou McDonald is Sinn Féin's general election candidate in Dublin Central. The 41-year-old is the Vice President of Sinn Fein and also the party's Deputy Leader. McDonald's biggest electoral success to date came in 2004 when she was elected to the European Parliament by the four-seat Dublin constituency. She has contested a general election on two previous occasions, losing out in Dublin West in 2002 and Dublin Central in 2007. McDonald holds third-level qualifications instudied English Literature, European Integration Studies and Human Resource Management. Mary Lou, were’nt you once a Fianna Fail party member. Why did you leave to join Sinn Fein? I am considering voting for you. How can you convince me.